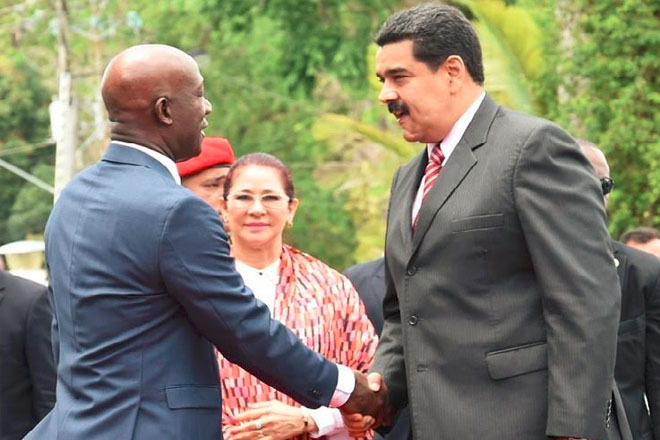 Venezuela will buy US$50 million in goods from Trinidad and Tobago to help ease the food shortages facing the South American nation. And the twin-island republic has agreed to purchase natural gas from Venezuela. Those were among the agreements reached when the leaders of the two countries held bilateral talks at the Diplomatic Centre, as anti-Nicolás Maduro protesters gathered outside yesterday.